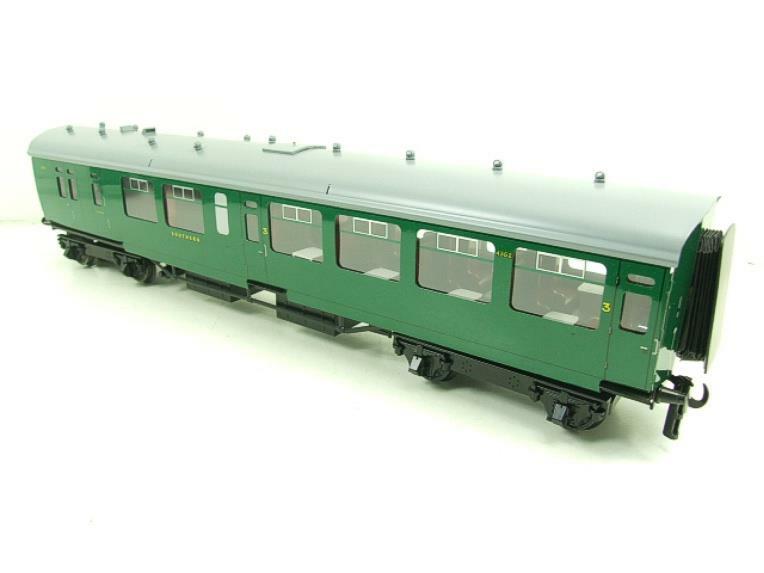 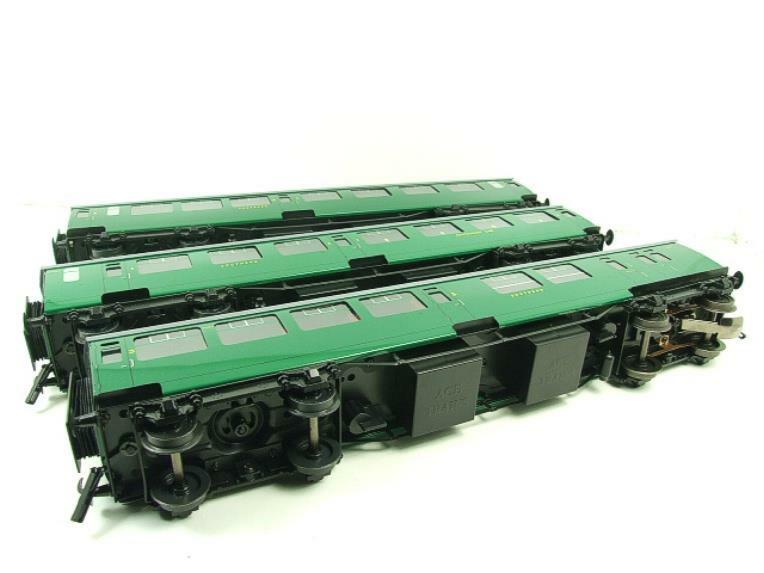 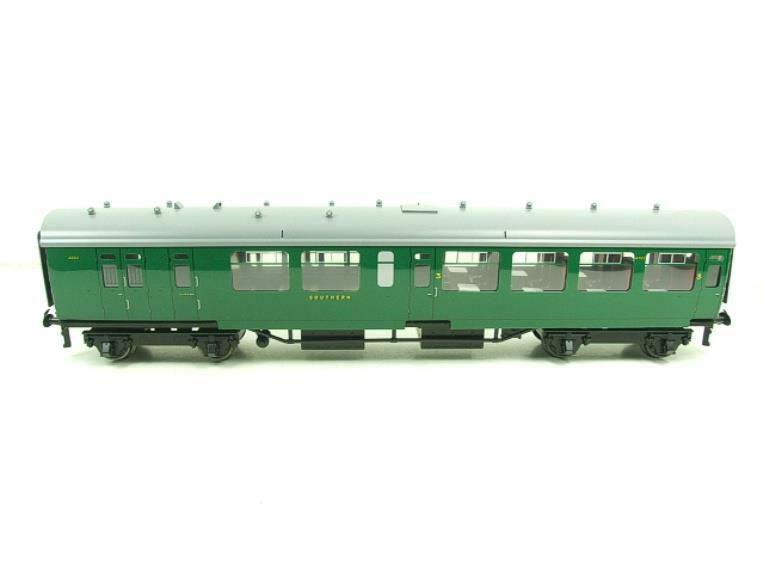 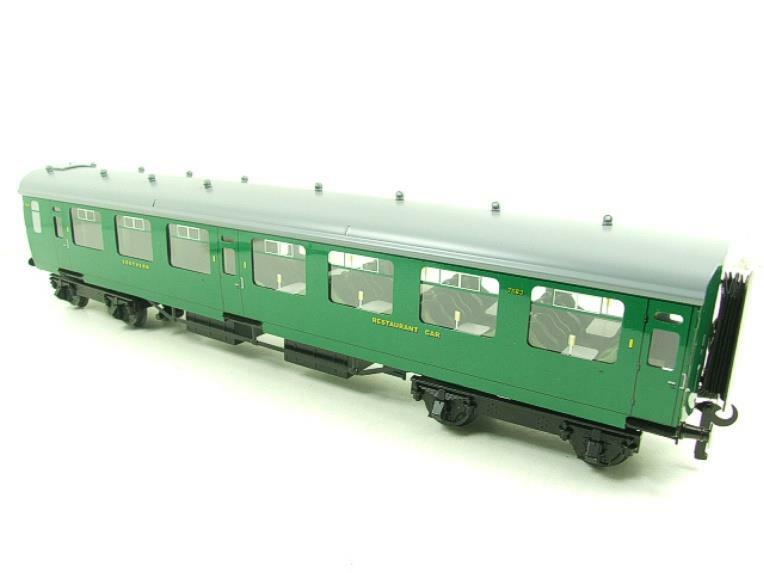 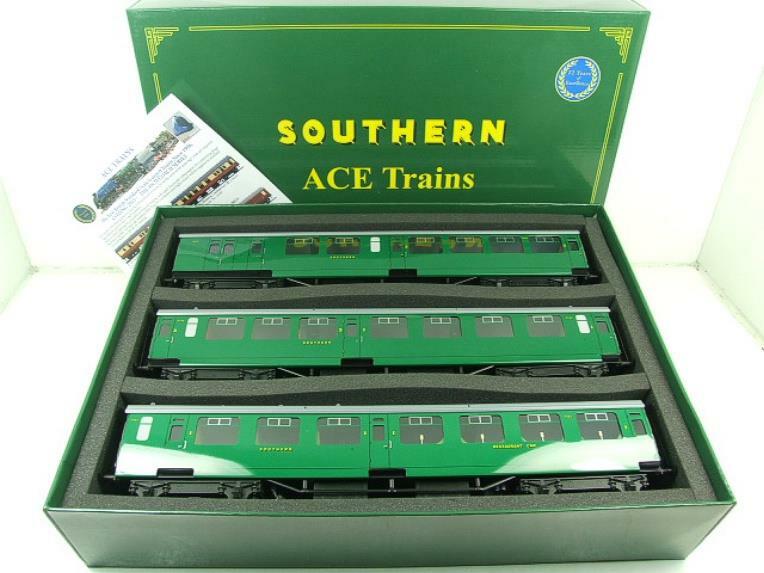 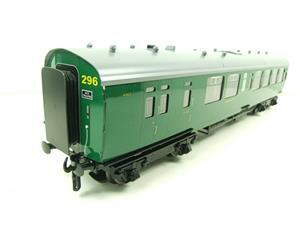 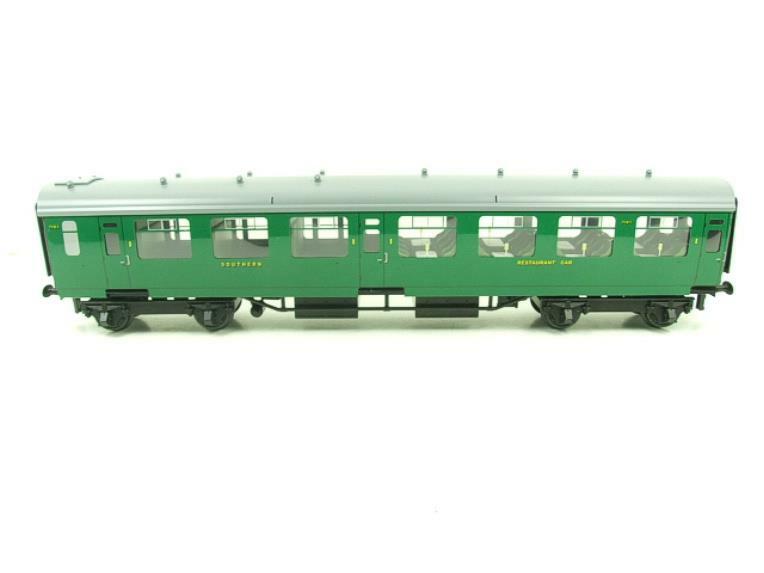 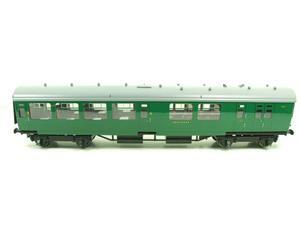 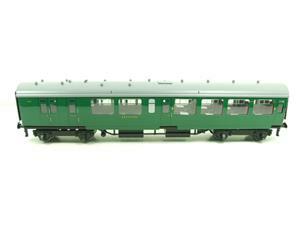 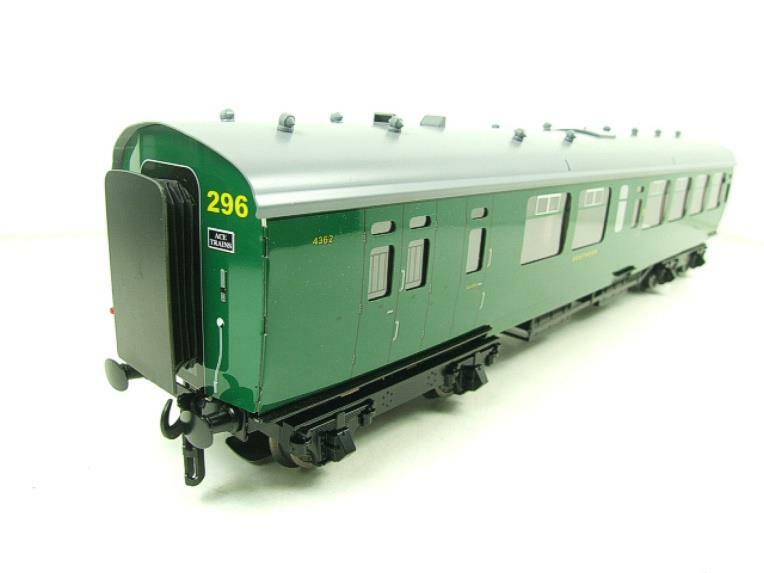 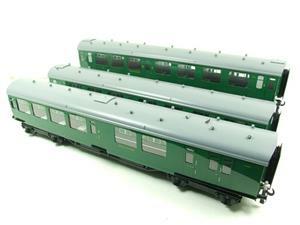 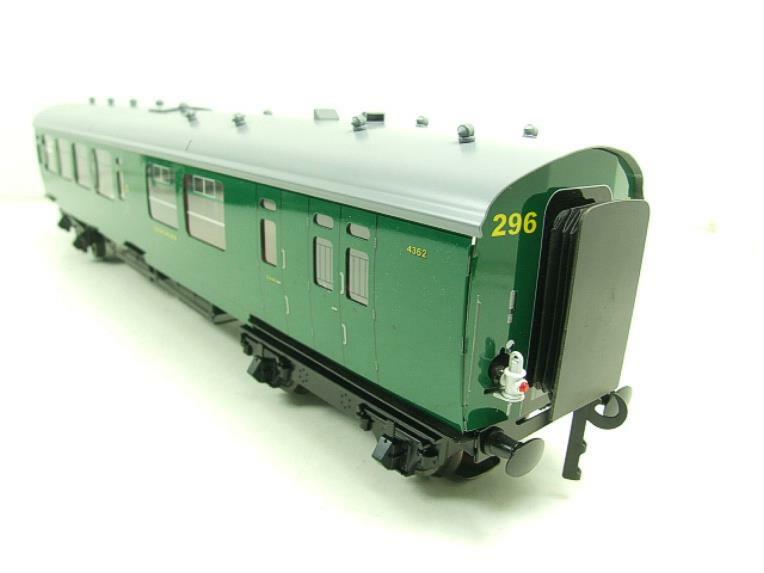 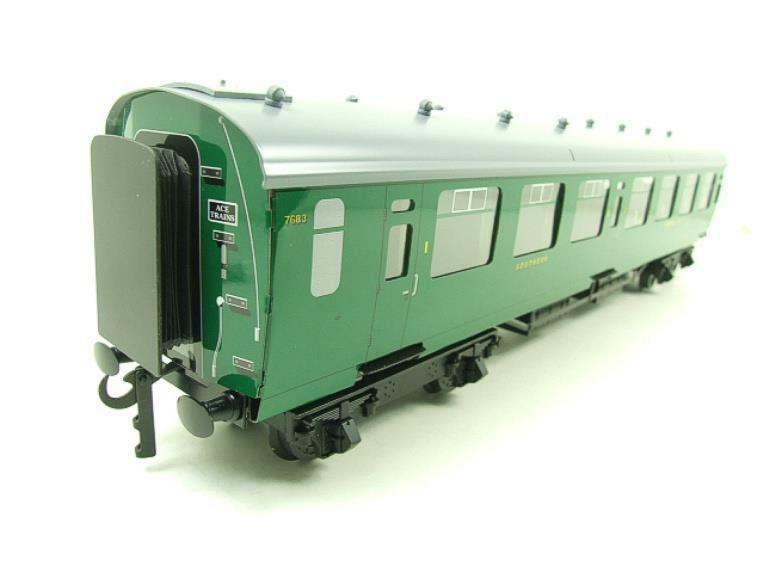 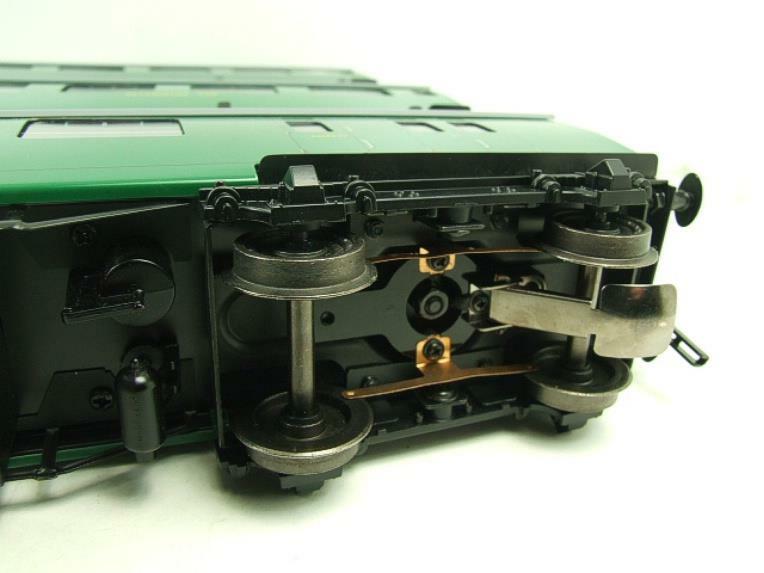 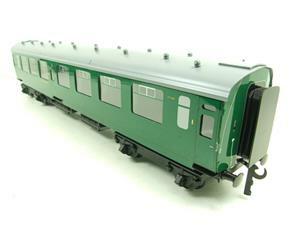 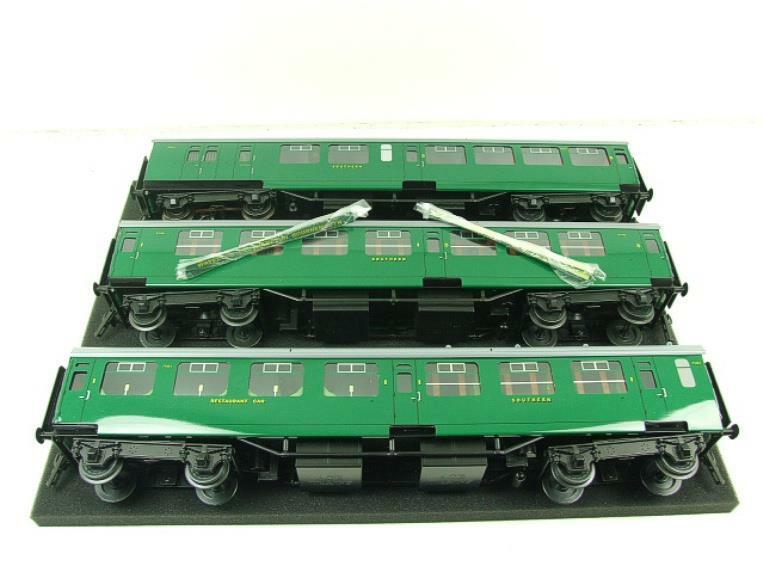 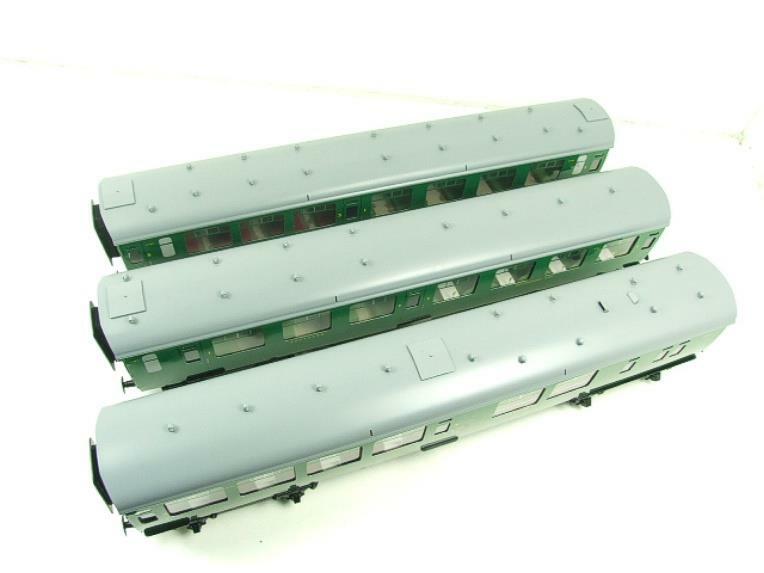 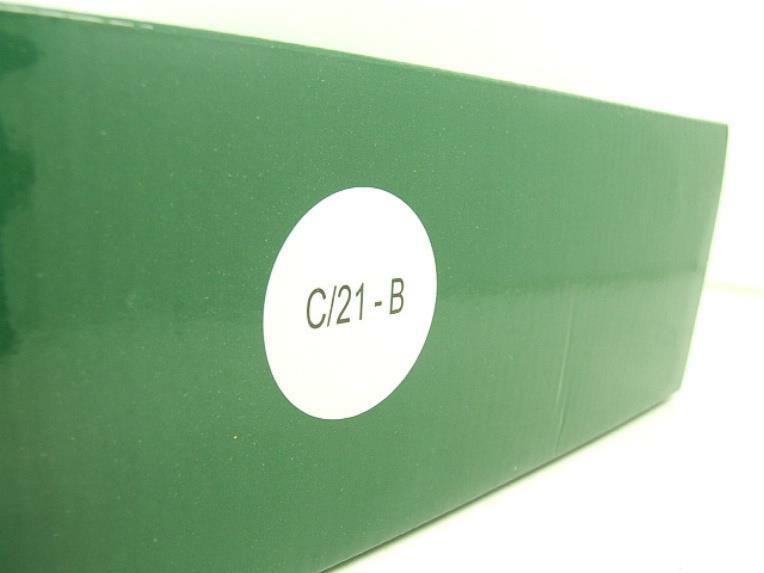 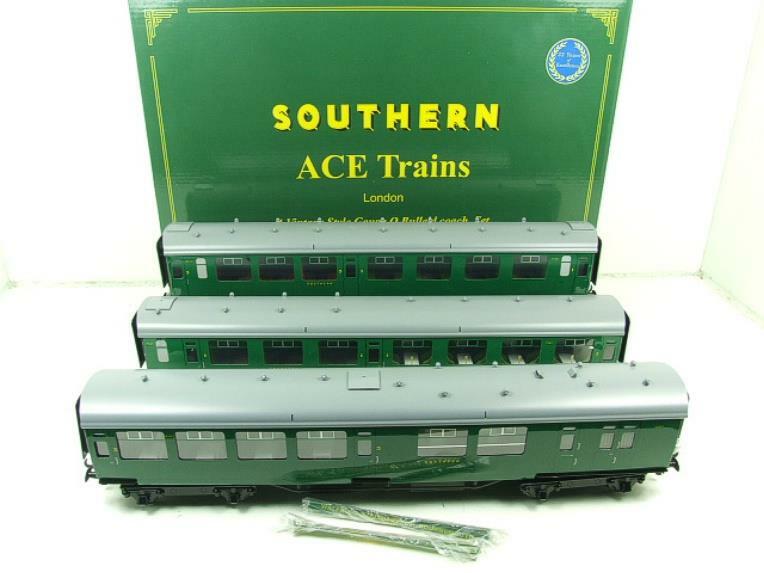 Ace Trains, O Gauge, C/21B, Set B, SR, Bulleid, Malachite Green, Post-War Coaches, x3 Set. 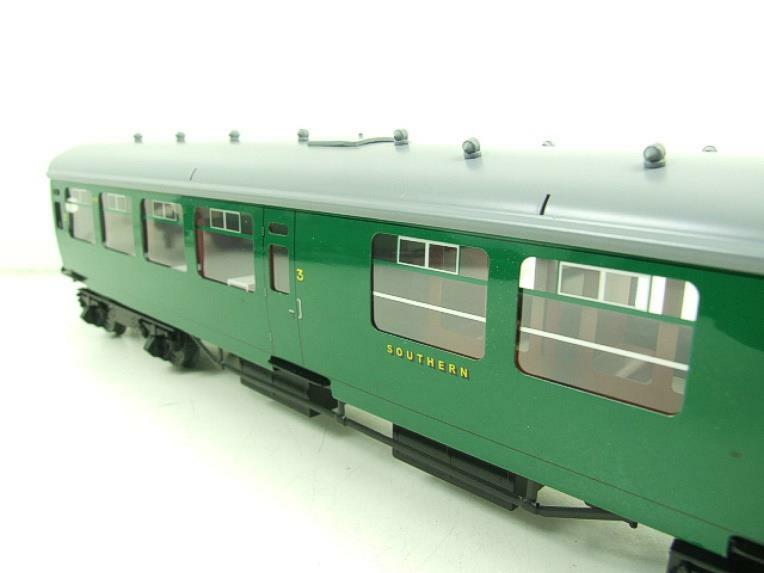 Detailed lithographed tinplate. Fitted with interior seating detail & table lamps with shades in the Restaurant Car. 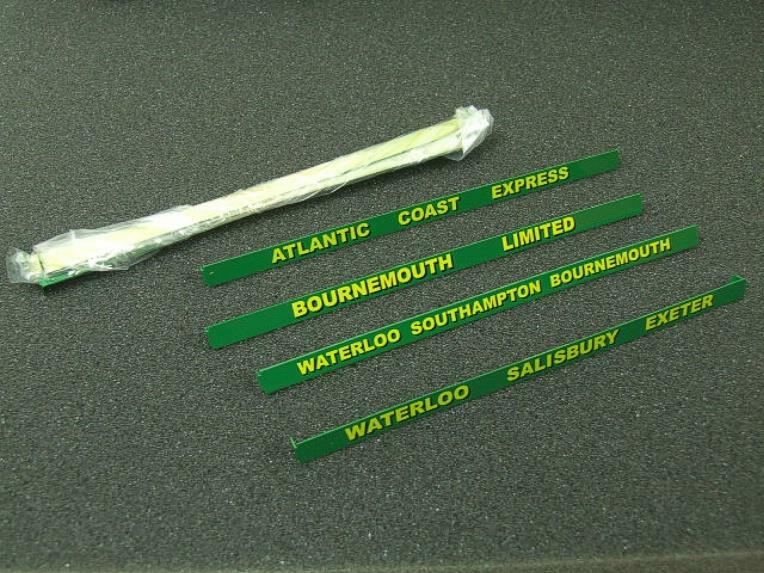 They come suppiled with coach name-destination boards for each coach. 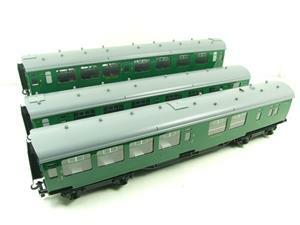 Comprising: SR C/21 x3 Bulleid Coaches, x1 Restaurant Car, R/N 7683, x1 Corridor Composite R/N 5746 & x1 3rd Brake End R/N 4362 with a 3 rail pick-up for its rear tail end lamp.